The Wells Foundation and the University of Minnesota Health Sciences Orchestra collaborated on the 7th annual Veteran’s Day concert designed to raise money for efforts focused on ending homelessness among veterans in the Twin Cities. The concert featured Mars from Gustav Holst’s Planets suite, the theme from Saving Private Ryan by John Williams, movements from Edvard Grieg’s Piano Concerto in A Minor featuring soloist Elise Bombaro, and an arrangement of America the Beautiful. 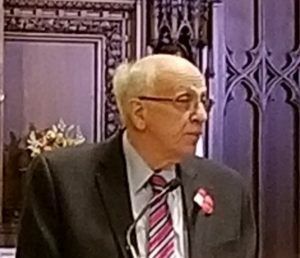 This year’s concert took place on the exact day of the 100th anniversary of the original Armistice Day ending World War I. An audience of 125 attended the performance and donated over $3,100 for veterans homelessness efforts. Foundation president Inez Bergquist welcomed the audience and described the foundation’s origins — “it all started with a sewing machine”. She pointed out that, in fact, the Wells has come full circle in the sense that one recent grantee — MicroGrants — also supports clients involved in sewing. 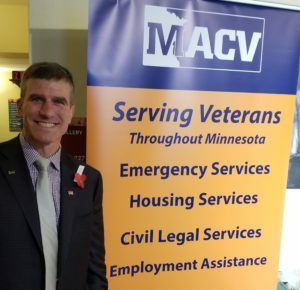 Finally, Neal Loidolt, the CEO of the Minnesota Assistance Council for Veterans, described the efforts of his organization to provide housing, employment, and legal services for veterans. MACV has received grants from Wells for the past several years owing to their focus on homelessness. A copy of the program, including a preliminary list of donors, is included here.